Stately single owner 3 BR/2 BA custom brick ranch built by JR Lazaro Builders is located in the popular Pine Tree Estates neighborhood. 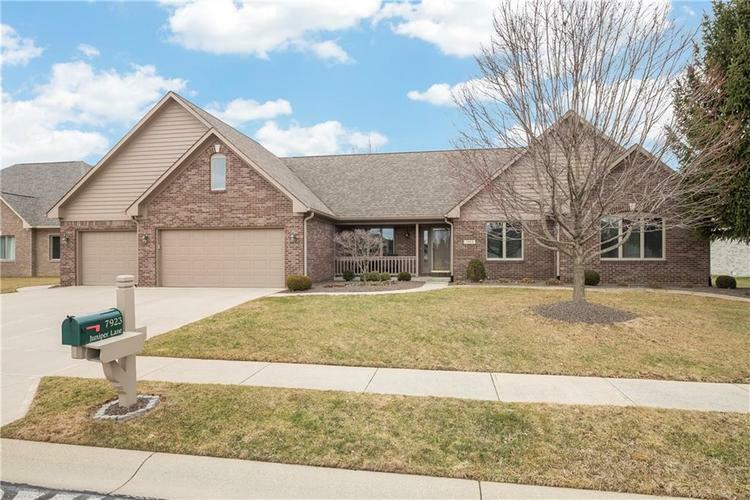 This home has it all: It is well maintained and has all the right upgrades including a great room with cathedral ceiling and brick gas fireplace. Also, a large finished bonus room in loft space with attic storage area. Extended 3-bay garage has been professionally organized with dedicated workshop and service door. Landscaping beds with professionally installed concrete edging enhance the curb appeal. Enjoy hanging out in the all-season sun room or entertaining friends outside on the new 14x14 covered patio. This home is near Avon Community Schools and has easy access to airport and downtown Indianapolis.